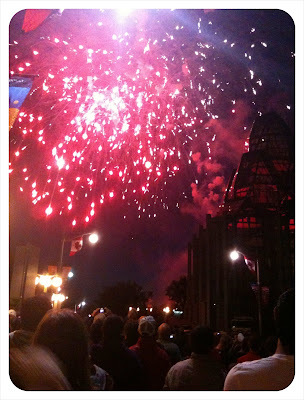 [trip style = urban] The Canadian patriotism I experienced at the Vancouver 2010 Olympics gave a whole new meaning to Canada Day this year. The Olympics reminded me of my deep love and appreciation for the true north strong and free as well as the freedoms we often take for granted. 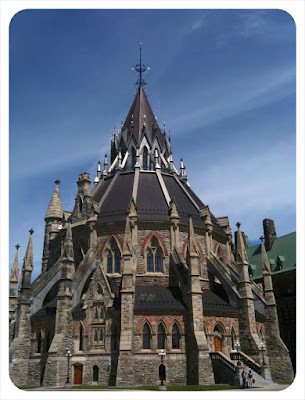 I had the honour of spending July 1st in Ottawa--the official epicentre of Canada. 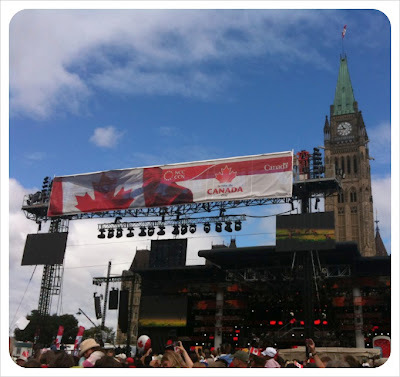 Watching the Canada Day celebrations in front of Parliament, something changed, I felt Canadian things more deeply. Every sight turned into an exciting and heartfelt experience. The speeches given by Harper and the Queen weren't just rhetoric, they were meaningful, and the whole celebration beginning with the Musical Ride (sadly I didn't get any pics) brought me to tears. But I suppose I should feel emotion for a country where my roots grow deep and the maple leaf is more than just something that falls from trees. 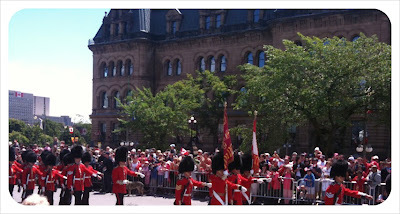 The Queen's prelude into the Canada Day celebrations. She followed in a horse-drawn carriage sporting a red suit with a maple leaf broach for the event. The stage where the festivities took place. 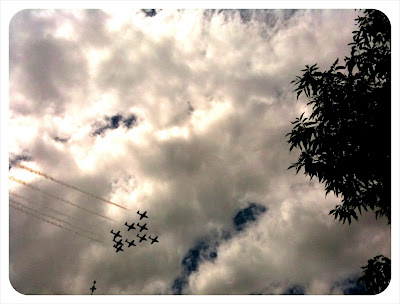 Canadian Snowbirds doing a fly-by. 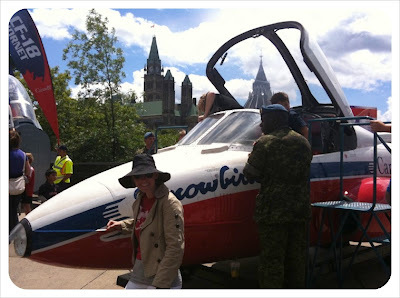 Me in front of a Snowbird; not the kind that goes South for the whole winter. Parliament's library, refurbished in 2002. 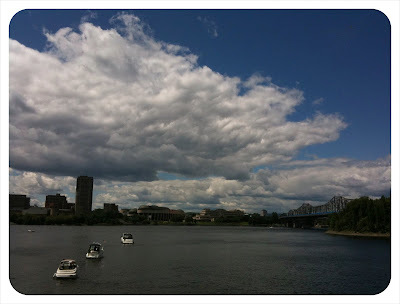 Ottawa river overlooking Gatineau, Quebec. 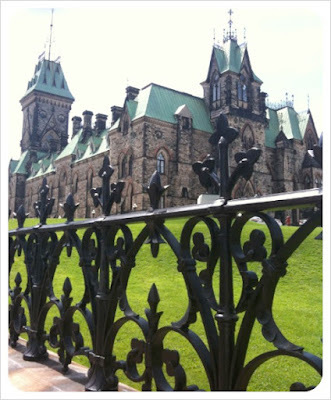 Beside Parliament. 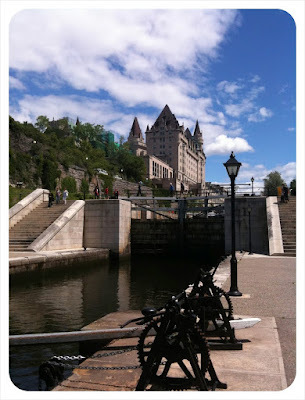 The Rideau Canal looking up towards the Fairmont Chateau Laurier. Above the lochs you see in this pic, in winter you can skate along this canal for 8km. Puts a whole new spin on commuting. Me in front of 24 Sussex (PM's residence). Since I came unannounced, Stevo wasn't able to have lemonade with me on his balcony. Having a break at Planet Coffee. Grabbing a croissant at the bakery where Obama stopped to pick up some 'Canada cookies' for his girls during his initial visit to Ottawa in February 2010. PS - I Highly recommend the aforementioned Moulin de Provence bakery in Ottawa's Byward Market. Ending the day with a literal bang. We were so close that our hair and clothes were speckled with ash.